When would you like to stay at Lares Park Hotel - Check Availability & Room Rates!!! 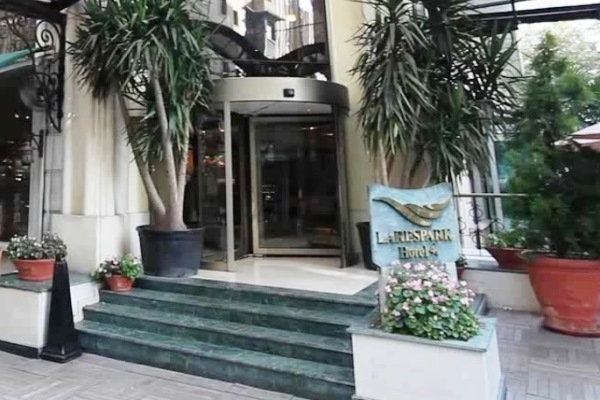 LARESPARK Hotel in Taksim offers 164 luxurious rooms. Larespark Hotel features 138 Superior rooms, 14 Deluxe Rooms, 4 Junior Suites, 4 Lares Suites, 2 Presidential Suites and 2 Disabled rooms. Larespark Hotel rooms specially designed and decorated and featured with LCD TV, Tea and coffee making facilities, Electronic Safe, Minibar, Air Conditioning, Pillow Menu, Direct Dial Telephone, Voice Mail, Telephone and Hair Dryer in the bathroom. How far and How long will it take from/to the Lares Park Hotel Istanbul from/to International Airports and cruise Ports. What time should I leave my hotel to catch a flight in Ataturk airport? Ataturk Airport-Lost and Found Istanbul Airport Shuttle How to get from cruise ports to the city? How to meet at Sabiha Airport How to get from Ataturk airport to the city? How to get from Sabiha Gokcen Airport to the city? How to meet at Ataturk airport Sultanahmet Transfer Is there any additional charge for my airport transfer service?